Have you used our database? Have you acquired one of our animals? Enter the ID here and see the lineage and any other records from our extensive database containing over 60,000 records and growing. Interested in how it all works? Click Here! Welcome to TSK, Inc. where we are also known as The Snake Keeper. 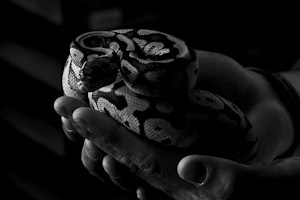 Reptiles, especially Boas & Pythons, are our specialty. We have been growing this business for over 20 years. Boas & Pythons have come a long way in those 20 years and here is where you can see some of what has been done in that time. While we do not have everything that is available in these species what we do have are some of the finest snakes available. There are far too many variations for anyone to have them all. 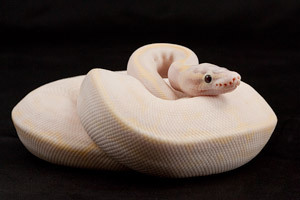 For example in Ball Pythons there are over 100+ morphs available with more being added each year. Boas do not have quite as many morphs but they do have some that a snake lover cannot live without. Then there are the GTP's (Green Tree Pythons) which are very hard to resist. Red or yellow babies that turn green, yellow and if you are lucky BLUE and anything in between. Having been in business so long we have been able to selectively breed for special traits that make our snakes the best available. For example by keeping the best examples of a morph back and raising them up and using them for breeding stock has allowed us to refine our collection over the years. For you that means you are getting crisp lines and very clear clean colors. While there are many breeders out there that breed just to make a morph to sell we breed to refine and enhance the morph to make it the best possible. Our Database is all due to Colette's dedication to reptiles and information. She has been collecting data for a long time and now we are finally able to make it available to you. What is great about this system is when you buy a snake from us you receive a unique ID number with your animal. This number will allow you to access the history of your snake including its geneology. Parental history is playing a bigger role in snakes especially when something unusual has been produced. Having access to these records will also show others where your blood lines come from. This is very important with the GTP's. Boas and Balls will benefit as well from this type of information. The more information you have available to give someone about your animal the more valuable it is and that is what you want when you sell your offspring. We have also worked hard to include information here that will help you be successful in choosing a snake that is right for you. Take the time to browse the site and you will see some of the most beautiful snakes in the world. We hope that you will enjoy the site and find what you are looking for here at The Snake Keeper. 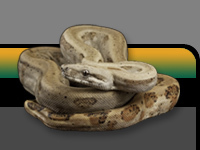 Boas differ greatly from ball pythons and GTP�s when it comes to varieties and morphs. 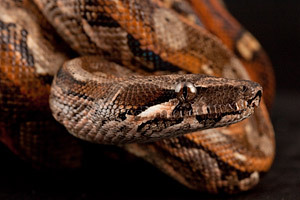 Common boas or Boa constrictor imperator, come in many different sizes and colors, even though they are all classified as the same species. Bci ranges from the Sonora desert in Mexico through the north eastern areas of South America. With such a large range there are many different locality boas that are distinctly different in appearance from geographic area to geographic area. Not all localities have morphs associated within that locality group. 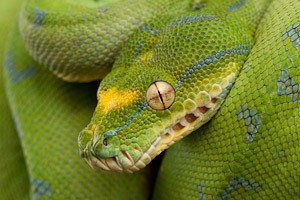 Green Tree Pythons, formerly known as Chondropython viridis, are currently classified as Morelia viridis. These unique pythons come from New Guinea and the surrounding islands that comprise part of Indonesia. There is also a population that is native to the Cape York Peninsula of Australia. Green Tree Pythons, GTP�s, are arboreal snakes that are primarily active in the evening.